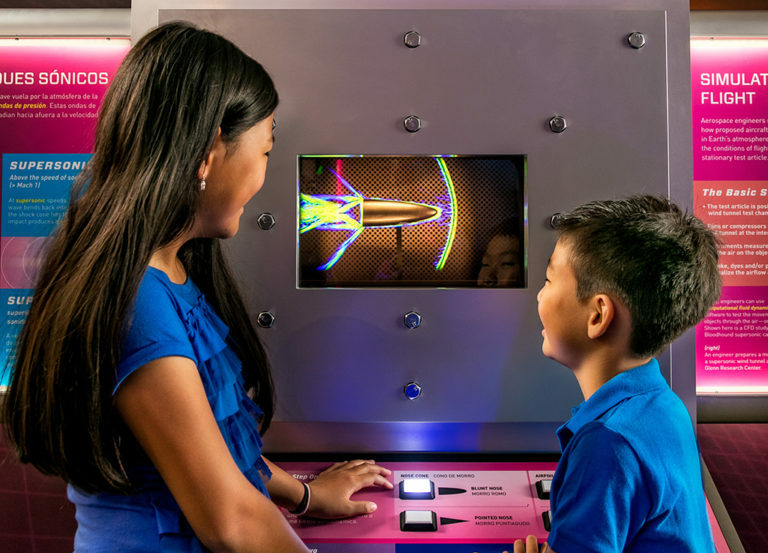 From flying cars and supersonic planes to space elevators and mega-rockets, Above and Beyond will take you and your children faster, farther, and higher for a once in a lifetime experience. There’s something about flight that captures every imagination, makes us think of dreams coming true, and fantasies becoming real. Does your little one dream of being an astronaut or flying a fighter jet? Now he or she can, at the Science Centre Singapore’s Above and Beyond exhibition. 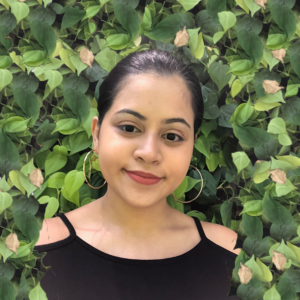 Produced by Evergreen Exhibitions in collaboration with NASA and the Smithsonian’s National Air and Space Museum, the exhibition is making its first launch in Southeast Asia. Here’s what you can expect. 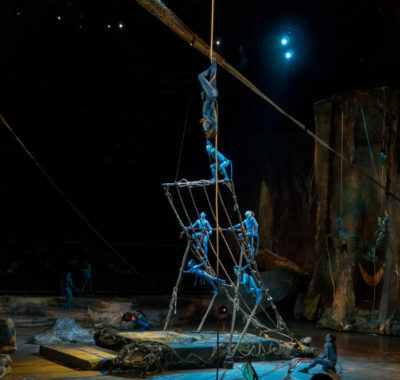 It starts off with a panoramic theatre experience, before leading you into five galleries comprising several interactive displays – Up, Faster, Higher, Further, and Smarter. Here are following displays that are sure to delight your kids! 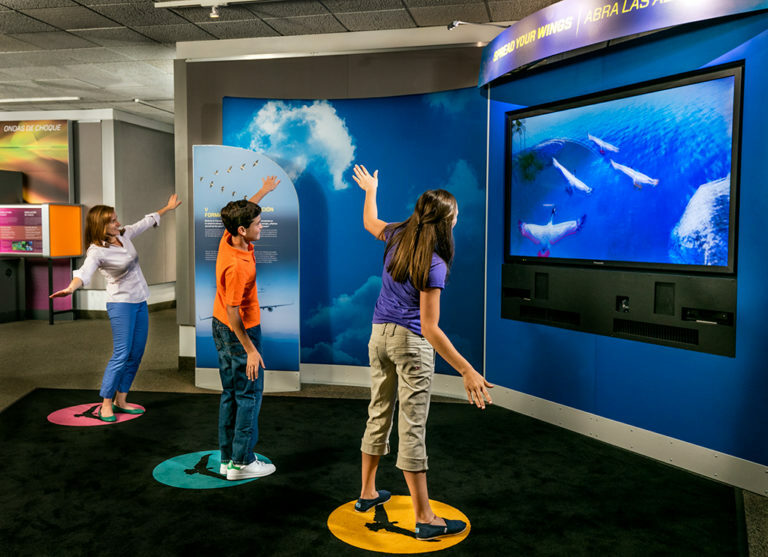 A sure hit with the kids, Spread Your Wings is an immersive group flying experience! 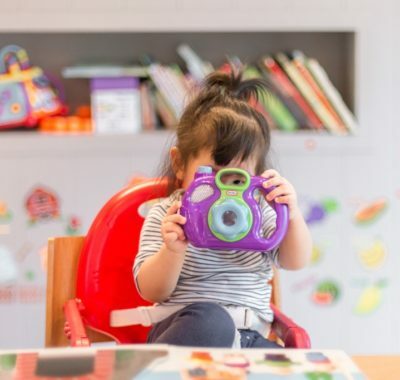 Motion-sensing technology and computer graphics transform you and your little one into virtual birds. The family can explore the forces of flight – lift, weight, thrust, and drag – as you learn to steer, flap, and angle your wings to fly. Don’t forget to wait for the picture of your flying experience when it ends! Does Junior love racing games in the arcade? Take it one step further with the Full Throttle. 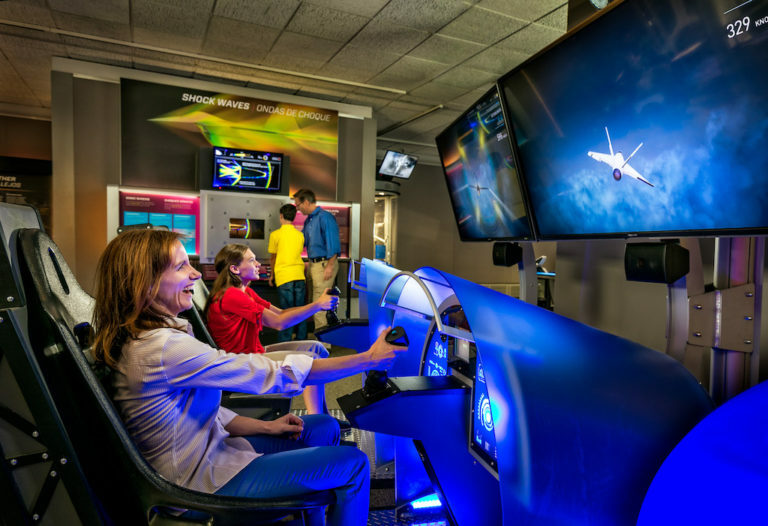 By applying aerodynamic principles, the kids can design their own virtual fighter jet and race against other players in a high-speed flying competition. 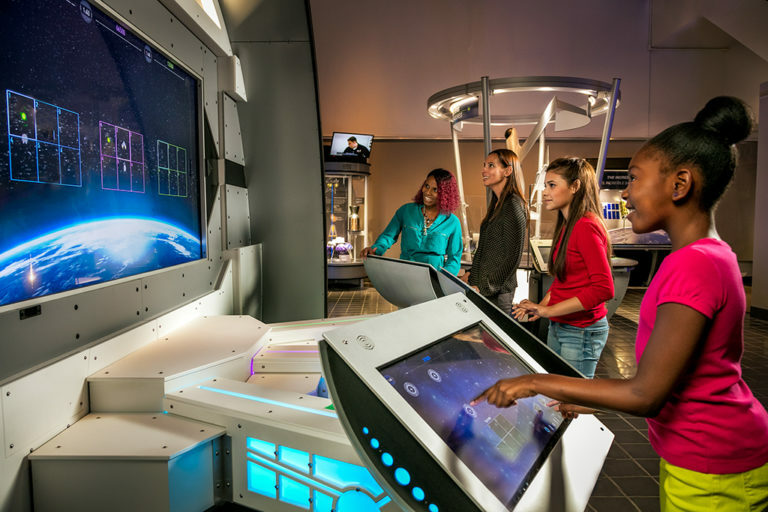 Journey to the Earth’s orbit aboard a simulated space elevator of the future! During the ascent, enjoy breathtaking scenery and digital displays. 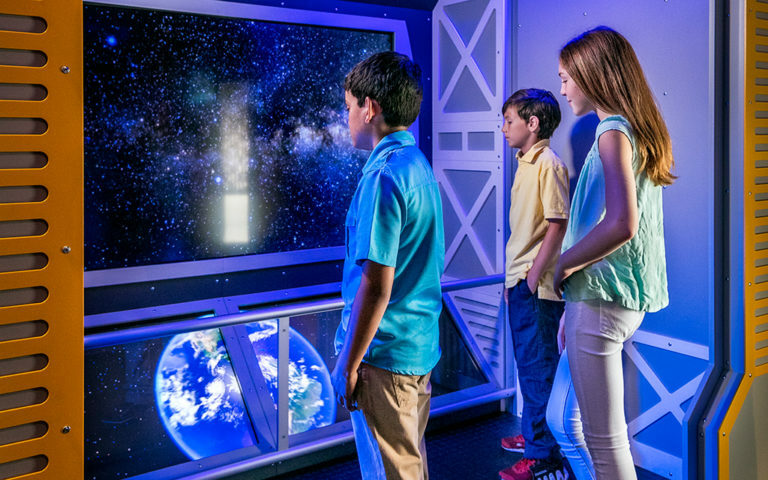 A virtual tour guide makes the experience even more engaging for the family by describing the aircraft, spacecraft, and natural phenomena you encounter along the way. It’s never a bad time to teach the kids about cleaning! Help to create the “smart space” of the future by cleaning up orbital debris using out-of-this-world cutting-edge solutions. The school holidays are still going on so don’t miss out on one of the most educational and immersive exhibitions of the year! Take to the skies, celebrate the wonders of flight, and be enthralled by the marvels of aerospace innovation, design, and technology. All images: Science Centre Singapore. Hygge, Lagom, Ikigai: Which Trendy Lifestyle is Best for your Family?